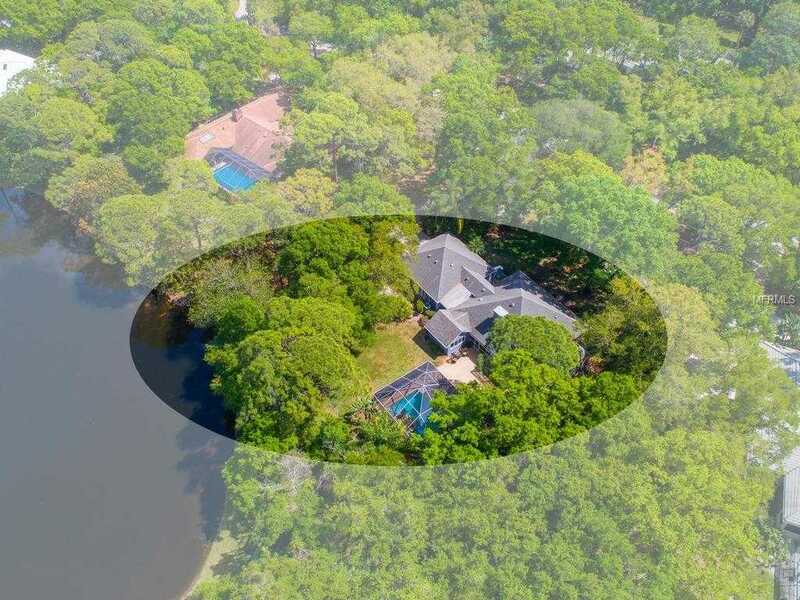 Enchanting lakefront oasis in an exclusive and superbly located enclave! Off a tranquil canopied street and on over an acre, a circular driveway and majestic trees welcome you home. Inside, the rest of the world fades away as you settle into this serene oasis. Every surface has been masterfully upgraded with exceptional materials for comfortable daily living and entertaining with ease. Imagine quiet mornings watching wildlife by the lake, a dip in the pool after tennis, cookouts with friends in the spacious terrace, chatting the evening away by the fire pit. The master suite offers his and hers walk-in closets, and an indulgent bathroom with soaking tub and travertine-clad Roman shower. In a separate wing you will find an office, a den and 2 guest bedrooms. All, adorned with delightful garden and lake vistas, cocooned by a 2-acre preserve and superbly located! A park-like haven on the edge of town, The Meadows provides 14 miles of walking trails and ready access to Sarasota 8217;s acclaimed culture, Gulf beaches, restaurants, entertainment, Nathan Benderson Park, Whole Foods and UTC Mall. The optional Meadows Country Club offers three golf courses, 16 Har-Tru tennis courts, Jr. Olympic pool, fitness center and dining venues. A fabulous Florida lifestyle! Please, send me more information on this property: MLS# A4431138 – $795,000 – 4611 Windsor Park, Sarasota, FL 34235. I would like to schedule a showing appointment for this property: MLS# A4431138 – $795,000 – 4611 Windsor Park, Sarasota, FL 34235.